St Joseph's Catholic Primary School & Nursery | Seasons Seasons Seaons !! 23 Nov Seasons Seasons Seaons !! 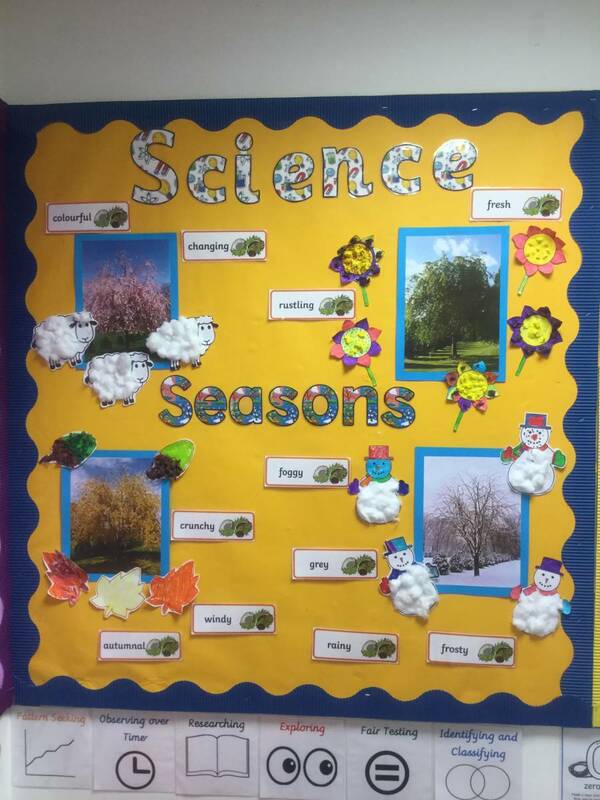 We have loved learning about the seasons in science! We have made some beautiful art work for our displays and we are super excited to become meteorologists next week, when we use rain gauges to measure how much rain we have each day! We have learned lots about fair testing, and planning our investigations. We have all made our predictions and cannot wait to find out the results of our investigation. Year 1 would love to watch weather reports/check the weather with our parents/carers this week so that we can see how accurate weather forecasts are! !